Poster Dandelions in meadow during sunset. Framed Poster Summer Meadow with Flower. Lavender. 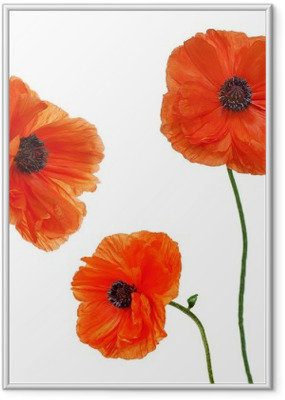 Framed Poster Set of single poppy flowers isolated on white background. Poster Lavender flower field. Close up. France.